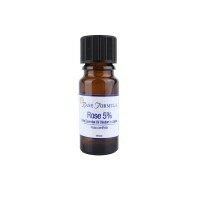 Rose Otto essential oil diluted at 5% in pure Jojoba Oil. Rose Otto Light is ideal for treating female-related problems and soothing stress and tension. Also valued for its aphrodisiac and skincare qualities. Our Rose Otto Light is made by diluting 5% pure Rose Otto (Rosa damascena) essential oil with 95% pure Jojoba Oil. Every aromatherapist, aromatherapy enthusiast or beauty therapist has to try Rose Otto. It is the jewel in the crown of all aromatherapy oils. In treatment terms Rose Otto has similar therapeutic benefits to Rose Absolute. Many believe however that this steam-distilled essential oil is purer and superior to Rose Absolute, which is produced via solvent extraction. Pure Rose Otto essential oil is extremely expensive and highly concentrated, so this 5% 'Light' dilution offers therapists and home enthusiasts an affordable way to experience this wonderfully fragrant oil. Rose is one of the most popular essential oils and probably one of the most used by therapists. It is emotionally balancing and spiritually uplifting and can help to engender feelings of positivity and wellbeing. It is an excellent antidepressant that can be helpful for treating stress, tension, anxiety and depression, including post-natal depression. Its stress relieving qualities can also help to relieve headaches and facial aches and pains caused by stress-related teeth grinding and a tense jaw. Rose oil has a unique affinity with the female reproductive system and is extremely beneficial for regulating the menstrual cycle, easing cramps and reducing heavy periods. 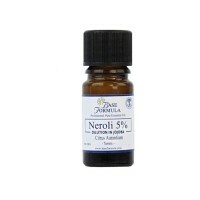 It is also excellent for PMS, PMT and problems associated with the menopause. 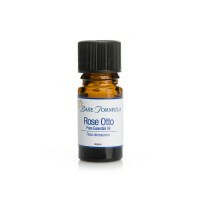 Rose Otto essential oil is also excellent for aromatherapy-based skincare and is suitable for use on all skin types. It is particularly beneficial however for dry, sensitive, inflamed, or ageing skin, and for treating enlarged or broken capillaries. Last but not least, Roses have been used for thousands of years for their aphrodisiac qualities. In AD 200 Atheneus recorded that Cleopatra covered her bedroom floor in rose petals in order to seduce Mark Anthony. Today, Rose oil is highly recommended for boosting libido, easing tension and supporting women who lack confidence in their own sexuality. 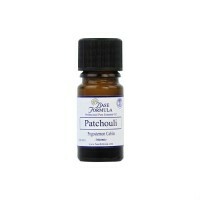 Blends well with: Other floral oils such as Lavender, Chamomile, Neroli and Jasmine. Also Frankincense, Bergamot and Myrrh. Safety Note: Do not use in early pregnancy or if history of miscarriage.